Here’s a little update on what might be the most expensive new car in the market. Some of you may already know this; but for those who doesn’t, the Bugatti La Voiture Noire is the most expensive new car ever sold. The price you may ask? Nearly $19 Million! Only ONE of its kind will ever be made and the identity of the buyer is not revealed. 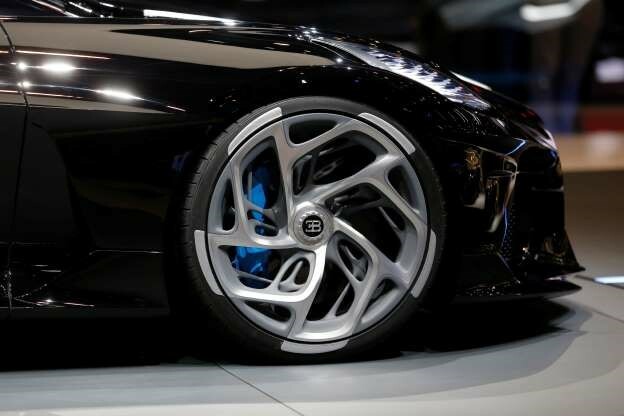 However, it is said that the buyer is a huge fan of Bugatti with an enormous attachment to the brand. Of course, he or she has to be ultra-rich too! This car is designed to recall the Bugatti Type 57 SC Atlantic of the 1930s, which was designed by Jean Bugatti (Son of Bugatti Founder). The car was introduced at the Geneva Motor Show in Switzerland and is categorized as a Hyper-car. The car has a black carbon fibre body and a 16-cylinder engine. One look, and you can’t miss the 6 exhaust pipes; that alone, speaks power. A special programme was used to calculate the optimal material thickness for the alloy wheels during construction. Look at those rims though! Worth it or not, you be the judge! This Carmaker Has Come Up With A Way To Power Your Home With Your Car!